I'm working on a side project that makes automated website testing easy! Record UI tests right in your browser. We'll execute them continuously from the cloud to check for issues. Today was the public launch of the Ghost blogging platform (well, technically yesterday, I guess). If you haven’t heard of Ghost yet, check out this page (and video). In short, Ghost is a new, minimalist blogging platform. The project lead is John O’Nolan who previously worked at WordPress and created a Kickstarter project with the intention of building a more streamlined blogging platform (since WordPress has become rather bloated). It pains me to write this post in 2013, but after doing some client work recently, I’ve found that these issues still actually exist in the wild, so these “fixes” may potentially help people. 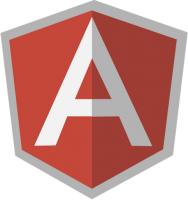 I ran into an issue today using the ngRepeat directive in AngularJS. ngRepeat let’s you iterate over a collection (array or object) and repeat a snippet of code for each of the items. Let’s look at a some examples first, before I get into my situation. I’m releasing a very old PHP class that I created circa 2006 to act as a wrapper for PHP’s MySQL functions. I recently updated it to use PHP’s MySQLi extension. It has a number of simple functions that accept parameters via arrays and builds queries with them. I came across an article on Hacker News the other day that piqued my interest: The algorithm for a perfectly balanced photo gallery. A startup named Chromatic gives a rundown of how they go about algorithmically scaling and arranging photos in a gallery for a perfectly organized grid look. I liked what I saw.